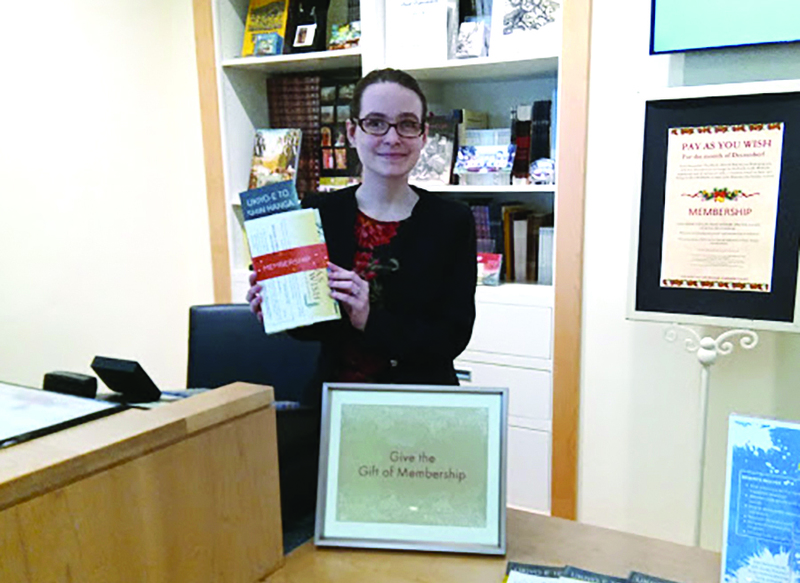 Kayla Ditlefsen, administrative assistant at The Hyde museum, displays information on membership, which is being offered at half-price to anyone living in the 12801 postal zip code. 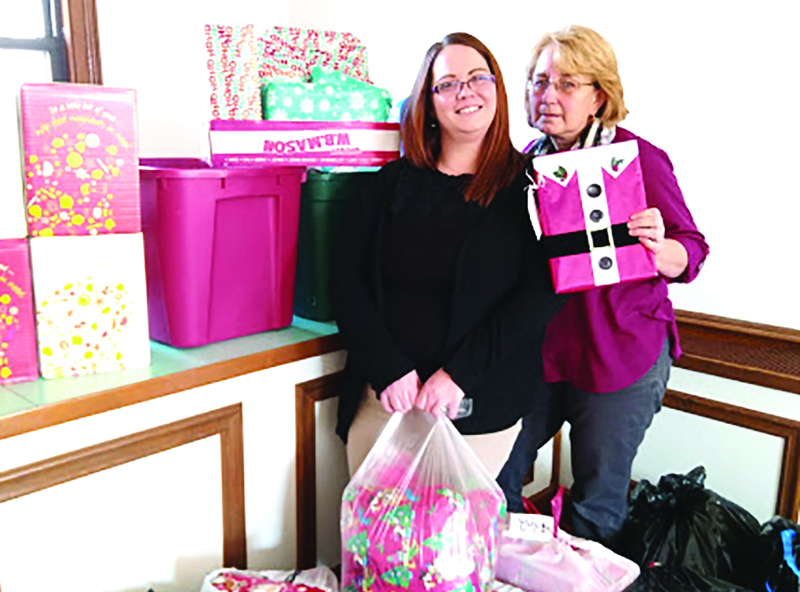 The Hyde Collection is offering to put something extra in the stockings of city residents for the holiday season. In addition to its annual Pay as you Wish program throughout December, the museum is offering half-price membership to anyone living within the 12801 postal zip code. This is the museum’s fourth year of Pay as you Wish, when admission fees are waived and guests are encouraged to answer a brief survey and make a donation based on their experience. The feedback is used to help The Hyde staff improve the visitor experience and the by-donation admission ensures everyone has access to the art museum. 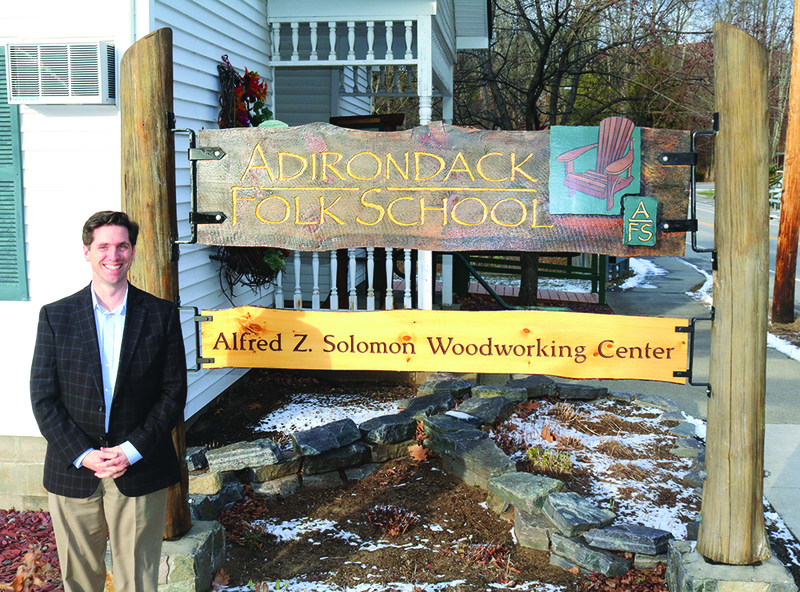 Scott Hayden, executive director of the Adirondack Folk School, stands outside the facility in Lake Luzerne where people can learn basketry, canoe building, weaving, quilting and woodworking. The beauty of the Adirondacks is something that for years many people have worked hard to preserve. The Adirondack Folk School in Lake Luzerne honors the arts, crafts and traditions of the area in a unique way. It is making a name for itself as the craft school of the Adirondacks. Based on a Danish folk school teaching model, the school philosophy is to encourage lifelong learning through preserving the traditional arts, crafts, and culture of the Adirondack region. They offer a hands-on learning experience in over 20 different areas of craft, including basketry, blacksmithing, canoe building, weaving, quilting, woodworking and jewelry making. Executive director Scott Hayden said in 2017, the school experienced a measurable increase in interest. There was a 40 percent increase in student enrollment. The school also expanded to neighboring areas to accommodate the increase in numbers. 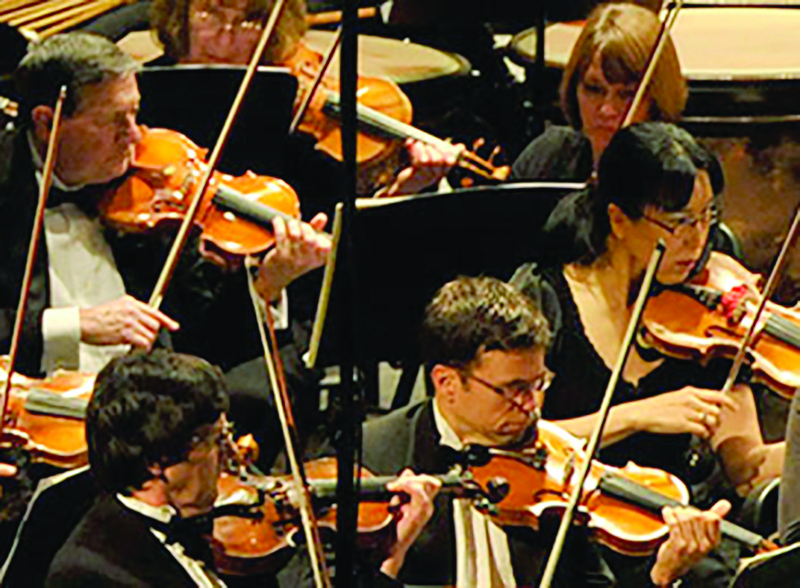 The Glens Falls Symphony is among the arts organizations that comprise the Arts District of Glens Falls. The group is working to connect and cross-promote the city’s arts organizations. There is a lot happening within the arts community in Glens Falls, thanks to the collaborative efforts of the Arts District of Glens Falls. The group is working to connect and cross-promote the city’s arts organizations that are located within a mile of one another. Kate Austin-Avon, president of the arts marketing firm Advokate LLC, said the Arts District of Glens Falls has been meeting since early 2014 and puts out a monthly arts bulletin of featured events. The arts organizations involved include the Shirt Factory, LARAC, the Hyde Collection, Chapman Historical Museum, Adirondack Theatre Festival, Art in the Public Eye, Park Theater, the Charles R. Wood Theater, Glens Falls Symphony, Glens Falls Community Theater, Cool Insuring Arena, Crandall Public Library, World Awareness Children’s Museum, and NorthCountryARTS. Stewart’s Shops is teaming up with its customers once again to raise money for local children’s charities. The Stewart’s Holiday Match campaign kicked off on Thanksgiving Day and runs through Christmas Day at all shop locations. The program doubles customer donations penny for penny, and has set fundraising records for three consecutive seasons. “Already having such a sense of community in our shops, the Stewart’s Holiday Match program has proven to be a perfect match for our friendly partners and loyal customers. By joining together, we can support kids in our own neighborhoods, all year long,” said Stewart’s Shops President Gary Dake. In 2016, customers donated $926,000 to the program, doubling to more than $1.85 million with the Stewart’s match, he said. This was a $100,000 increase over the previous season. The funds were able to support a record 1,737 local children’s organizations across the 31 counties where Stewart’s Shops are located.